When, two years ago, Doctor Denis Mukwege received the King Baudouin Foundation prize, Louis Michel suggested to me that I carry out a "book interview" with him, and, thinking this was an excellent idea, I got to work. I already knew the Doctor as I had met and interviewed him during my many reports from South Kivu. Some months after the prize award ceremony, I spent two weeks in Bukavu, and met at length with the chief doctor at Panzi hospital during interviews which allowed me to find out more about the doctor, the man, the pastor, the father and the citizen. The book L’homme qui répare les femmes is the result of this meeting with a man whose personal history bears testimony to the last two decades in Kivu, marked by war, violence against women and a systematic policy of terror. Following publication of the work, I was struck by the doctor's qualities as a physician, but also, presenting the book with him in Kinshasa, by his ability to raise awareness, his eloquence and the strength of his conviction. I then reflected that this man have gone through stages: firstly as a doctor, humanitarian and humanist, he resolved, at a given moment, to step up efforts and and to appeal to international public opinion so that the agony of the women of Kivu would be publicised, given more media attention and consequently judged unacceptable by the "universal conscience", until "world leaders" felt obliged, finally, to put an end to this scandals. The life of this man could have inspired another book, a novel, for example, but I wanted make a film about it, working with Thierry Michel. Our strengths were evident: Thierry and I know the Congo well. Whilst my experience mainly centres around the printed press and books, I also have some knowledge of the world of cinema, having already produced The Drowned Gold of Kamituga, with Yvon Lammens, and a long time prior to that, a documentary with Jean Jacques Péché and another with Manu Bonmariage. On each of these occasions I had welcomed this collaboration and the rich benefits gained from team work. 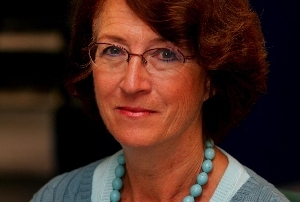 Colette Braeckman is a Belgian journalist, born April 20, 1946, in Ixelles. She is a member of the editorial board of the French-language newspaper Le Soir, where she directs news coverage of Africa and particularly Central Africa. She has also published in reviews and magazines, notably Le Monde Diplomatique in both its French and English editions. Recently, she published “The man wo repairs women”, dedicated to Dr. Mukwege, and many collaborations (Le Monde Diplomatique, Geo, International Politics, BBC etc…) and conferences on topics related to Central Africa.